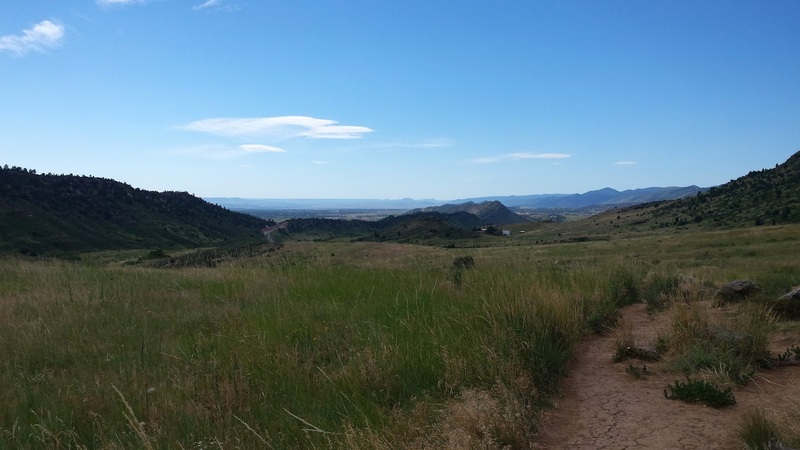 Today I took the kids for a hike at Matthews/Winters in Golden. You know, because dragging a three year old and a baby through a mountain trail by myself is a great way to spend a morning. Actually, we had a really great time minus a case of the grumpies on Eli's part. First five minutes: Eli runs ahead and gets excited about everything. He smells flowers, points out rocks, and has a huge smile on his face. I feel like an amazing mom on a really cool adventure. Six minutes in: "Mommy, my legs hurt." Six minutes, 30 seconds: "Mommy, I want to go home. Mommy, did you bring snacks? Mommy, let's turn around now, ok?" Seven minutes to ten minutes: Crying. Ten minutes: Tessa manages to fall asleep in the baby carrier despite the noise and I decide to dig my heels in and keep going so she can have a nap. Eleven minutes to twenty minutes: Intermittent crying, whining, grumpy faces, and general complaining. Twenty minutes: Eli slides on some dirt and falls down. Cue sobbing. I decide it might be wise to turn around. Twenty-one minutes to end: Some whining with promises of returning to the car. We spot wildlife, flowers, rocks, and actually have a nice time for a bit. I'd say the whole endeavor was a success, would you? Sometimes I can't quite believe I live in Colorado. This view is stunning and I only drove 15 minutes to get here! 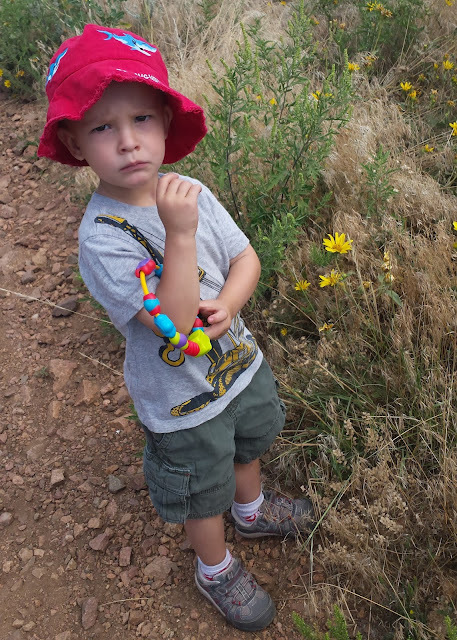 I need to start taking the kids to the foothills more often. We saw a lot of wildlife today too, which was super fun. 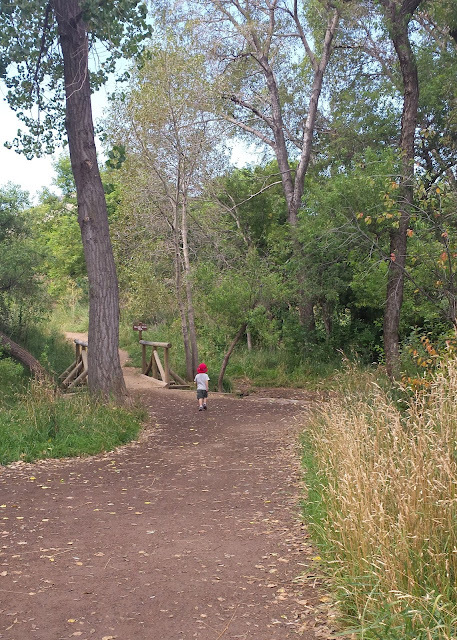 There were butterflies, dragonflies, birds, bugs, and even a couple of deer with antlers! 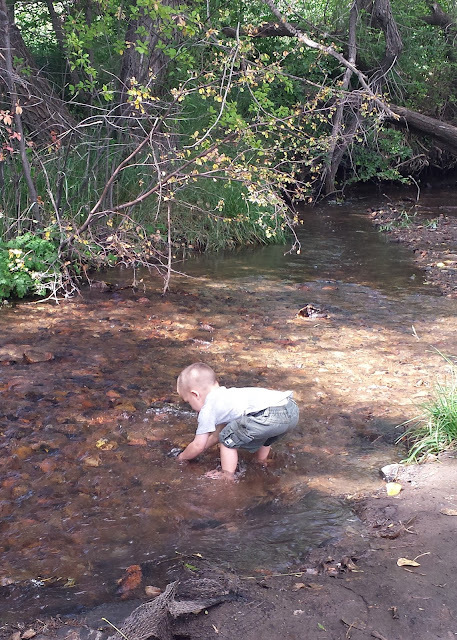 After our hiking adventures, we stopped to play in the creek near the trailhead for a bit. 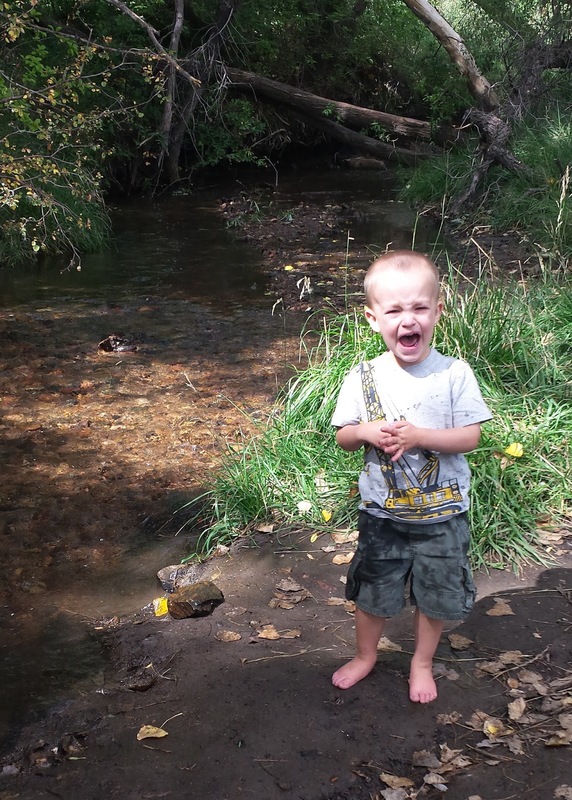 We started by having a merry time throwing rocks and wading. Tessa remained unflappable as always and enjoyed splashing her toes in the water and eating grass. 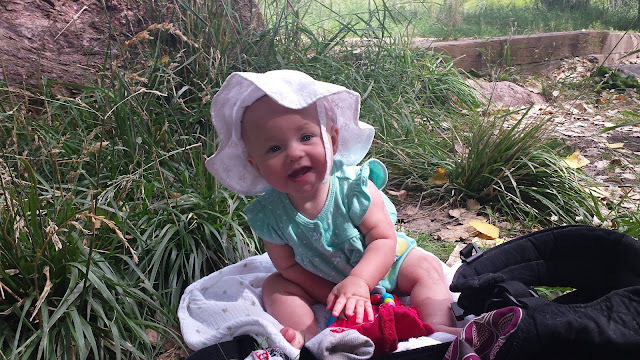 She also tried her hardest to eat as much dirt and rock as possible, but Mommy prevailed.